Botox® and Dysport® are the most popular products used to subtly soften facial expression lines, by temporarily relaxing the muscles that cause frown lines, forehead creases, crow’s feet, neck bands, and other wrinkles. The superficial injections are a well-tolerated, non-surgical way to reduce, eliminate, or prevent the signs of aging. The effects of these treatments last from three to six months, with your muscles gradually returning to their pre-treatment state. Offering Restylane, Revanesse, Teosyal, and Juvederm. Injectable dermal fillers are referred to as “liquid facelifts” because they offer many of the benefits of a surgical facial procedure without the downtime. 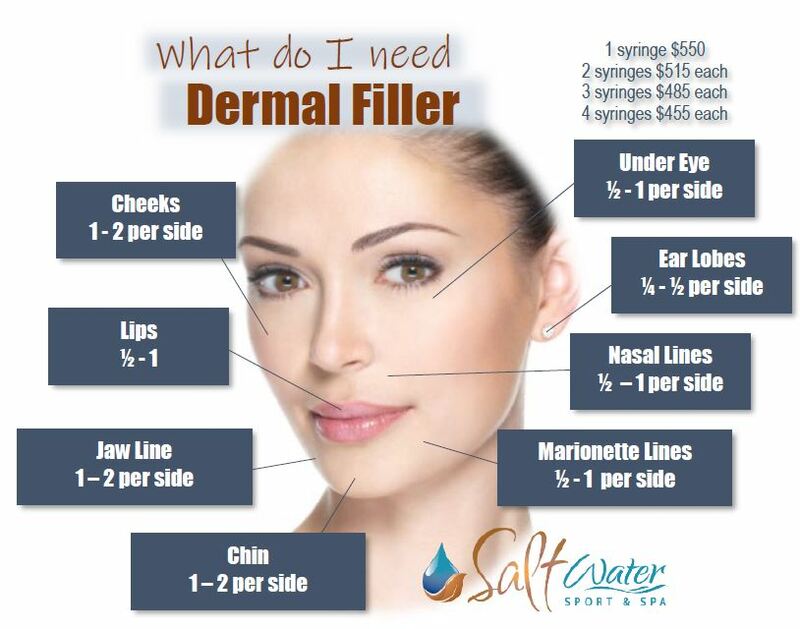 Although they can’t address excess sagging skin, these soft tissue fillers can add more volume; make the lips appear fuller; enhance shallow contours; or soften facial creases and wrinkles. These minimally invasive treatments aren’t permanent and must be repeated and maintained over time. Some fillers are used in conjunction with other rejuvenation procedures such as injections of Botox® or Dysport® for optimal results. Prices are for Restylane (all areas excluding under eye). Under Eye $650 and may require 2-3 visits. Using the body’s natural repair process, our Full Face PRP Rejuvenation will dramatically improve the overall health of your skin. It adds volume to facial indentations, fills & softens under eye hollows, helps correct hyper-pigmentation & heal scars, and improve the overall skin tone and texture. This treatment is particularly effective for concerns such as fine lines, sun damage, and bumpy/uneven skin texture, resulting in smooth, evenly toned skin that looks and feels younger. Our PRP + Lift combines a Full Face Rejuvenation with the addition of Dermal Filler to address deeper lines and to add additional volume to depleted skin.